YANGON—Muslims are turning out to be among the biggest losers in Myanmar’s historic elections, with many not allowed to vote and no Muslim representation in parliament. Several Muslims have been serving in the current nominally civilian parliament, which took over from the military in 2011. But ahead of Sunday’s balloting, the election commission disqualified more than dozen Muslims seeking a chance to run, citing questions about whether their parents were born in Myanmar, a requirement for candidates. And of those able to compete, all lost. Left with no Muslim in parliament to advocate for them in this Buddhist-majority country, some Muslims say they are pinning their hopes on democracy leader Aung San Suu Kyi, whose National League for Democracy is almost certain to have won a landslide victory. Muslims say life in Myanmar is increasingly difficult because of the rise of Buddhist nationalism, led by hard-line monks. Muslims officially make up 4% of the country’s population, but some experts say the number is higher, up to a 10th of the country’s population of 51 million. Some have full citizenship, but not the stateless Rohingya, who despite having lived in Myanmar for generations are considered by the government to be foreigners from neighboring Bangladesh. More than 140,000 Rohingya live in squalid camps in western Myanmar, after being driven out from their homes in violent riots three years ago. 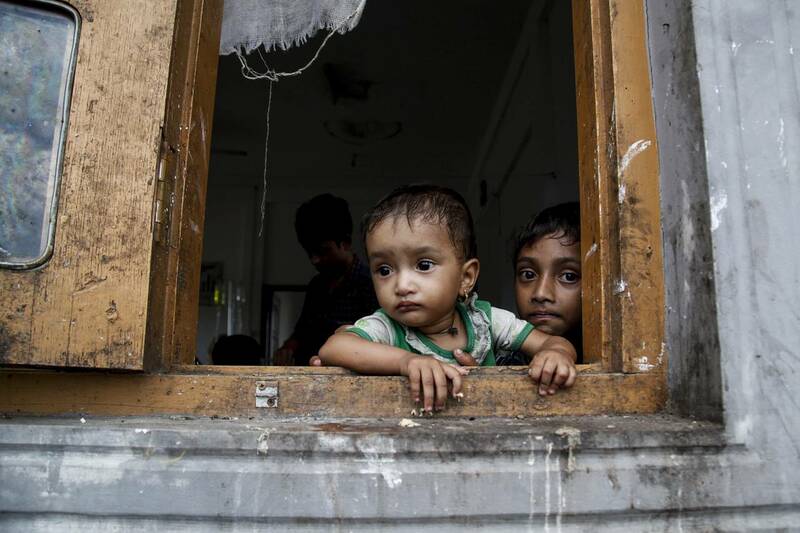 Some have felt so hopeless they fled Myanmar on human trafficking boats. Unlike other Muslims, few Rohingya were allowed to vote on Sunday. However, they voted in the 2010 general election and the 2012 by-elections. This time, the government said they aren’t full citizens and deemed it unconstitutional for them to vote. A very small number of Rohingya, who accepted the government’s term for them “Bengali” and were granted citizenship, were allowed to vote Sunday. Polling booths were set up in camps, where those Rohingya left disenfranchised looked on. “Now you can’t contest. You can’t vote. This is the big tsunami in our history,” said Kyaw Min, president of the Democracy and Human Rights Party, a Muslim party that tried to run 18 candidates in this election, but saw 15 of them disqualified. Those rejected disputed the election commission’s claims that their parents weren’t citizens. Hard-line Buddhist monks, who have increasingly organized under the Association for the Protection of Race and Religion, or Ma Ba Tha, have become a powerful force. Ahead of the election, they argued Buddhism should be placed front and center in the new-look Myanmar and fill the vacuum left by the old military order since it formally ceded power five years ago—even if that means sidelining minorities. Like the Democracy and Human Rights Party, the United National Congress also saw its Muslim candidates lose their races. “You see, we’re already flattened on the ground. We’re at ground zero now,” Mr. Kyaw Min added. Amid the growing power of hard-line monks, Ms. Suu Kyi’s party avoided fielding even a single Muslim candidate in the election, though senior members from her party said many qualified ones had applied. Many Muslims say they hope Ms. Suu Kyi’s new government will quash the power of the nationalist Ma Ba Tha group, which pushed through laws restricting interfaith marriage and religious conversion. These laws, passed by the old, military-linked parliament, also allow for population control measures, which Muslims fear will be used against them. Ms. Suu Kyi has been cautious in speaking up specifically for the Rohingya. This week, she told the BBC that an NLD government would protect Muslims and that those who inflame hatred should face prosecution. — Myo Myo contributed to this article.